Mobile devices function in a dynamic network environments. As the use of both mobile devices and online services increases, providing a seamless experience under these conditions becomes important to KDE. The network component of the Solid hardware framework provides an object oriented interface to network hardware and network events allowing application authors to react to events and control networking, where allowed by the underlying system. This talk will present the networkstatus system in KDE 3, its successor in the Solid network architecture in KDE 4, its interaction with the NetworkManager backend, and give model and real-life usage examples. Attendees will get an insight into hardware browsing and control applications, and how to use network status information in general applications to give users a smooth ride in bumpy networks. Will Stephenson has been involved in the KDE Desktop for several years. Since 2004 Will has been employed by SUSE as a desktop engineer. 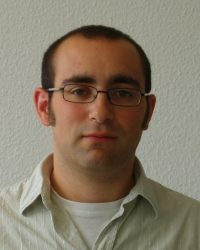 His recent contributions to KDE include the KNetworkManager applet for KDE 3 and work on the Solid networking framework.